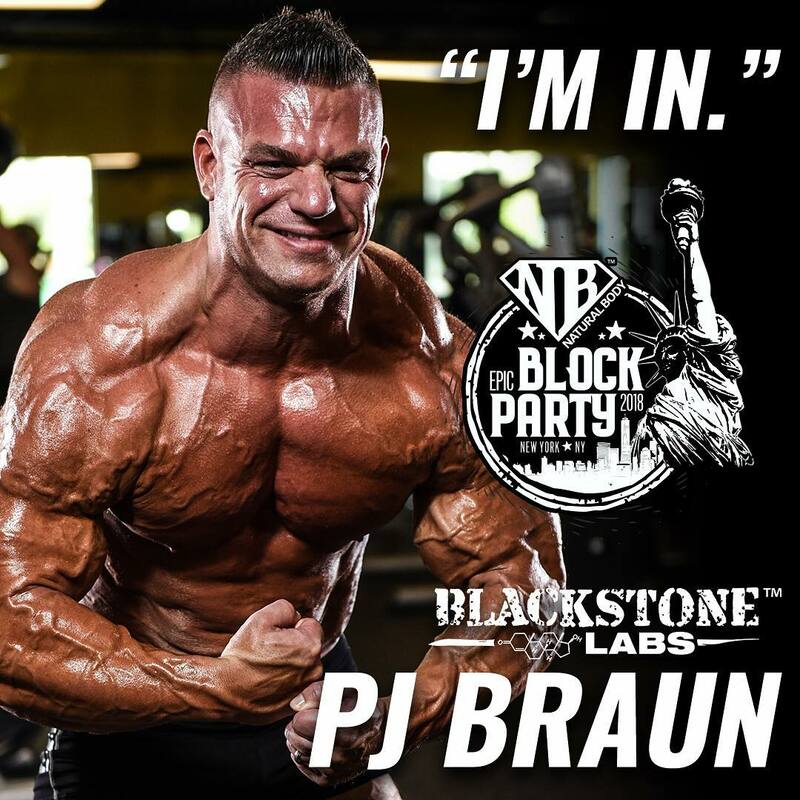 NaturalBodyInc's Massive NYC Block Party on 8/11 Comes with 20% off Coupon! It’s coming back to New York, and boy is it bigger than ever! And if you can’t come in real life, get 20% off online! The Epic Block Party is Natural Body’s signature event, and 2018 is their fifth consecutive year running it — and it keeps getting bigger each year! Cutting to the chase, the event is Saturday, August 11th at Natural Body in Ozone Park, New York on Saturday from 11-6pm. But if you can’t make it, they’ll have a 20% off coupon for online shoppers! Did you mention 20% off?! The coupon goes live Saturday. Click here to see if it’s up! Now that the massive savings are out of the way, let’s get into the five W’s! 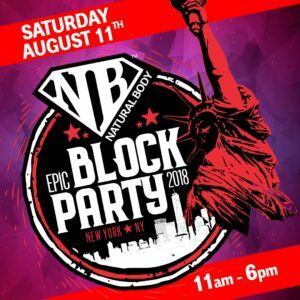 What is the NaturalBodyInc Annual Block Party? Natural Body Inc makes moves, the nation’s retailers follow! 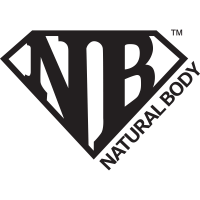 Natural Body Inc is a popular store and internet retailer founded all the way back in 1996. 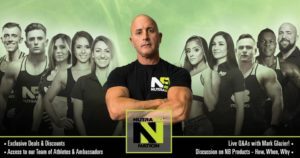 This is part customer appreciation day, part sidewalk sale, part vendor showcase, part fitness expo, and part supplement industry VIP meet-and-greet! It started as a fun event five years ago, but now it’s exceeded anything Team NaturalBody ever thought possible! This is an intimate way to give fans a “high-touch” experience, where you can interact face-to-face with your favorite industry personas — and wait until you see the list below! The event is also entirely free. Instead, you simply “vote with their dollars” by supporting your favorite brands with a purchase. PJ’s in! 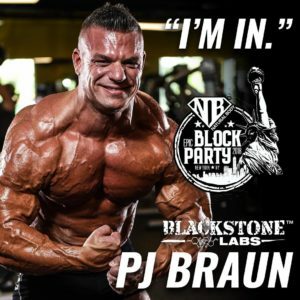 The legendary President of Blackstone Labs was asked to come, and he only needed two words to respond! But perhaps more importantly are the faces behind those brands! You know you’re about to get your brain (and muscles) loaded up when Mark Glazier and his team at NutraBio are coming to an event! Like PJ said – I’M IN – Where’s it at?! First, it’s appreciated if you RSVP on their Facebook Event here. As an FYI, they are now the best-selling sports nutrition and vitamin store per square foot in New York, as they have an insanely close relationship to both their customers and what’s hot in the industry! Internet geeks love to throw around the word “influencer” a lot. But before that was even a thing, there was Steve Calabrese, fearless leader of Natural Body. Steve is the man when it comes to running a local sports nutrition retail store, and an expert at catching trends that keep local stores ahead of the curve. When Steve makes a move, other retailers around the nation follow. New York doesn’t get enough of this kind of thing, so if it gets any bigger next year, they may have to take it offsite and do a full-fledged expo. Keep an eye on these guys! Comments | Posted in Supplement News | Tagged 'Merica Labz, 1st Phorm, Ambrosia Supplements, Axe & Sledge, CORE Nutritionals, Doug Miller, Dragon Pharma, Evan Centopani, Granite Supplements, Lauren Findley, Marc Lobliner, Mark Glazier, Mike Rashid, MTS Nutrition, Natural Body Inc, NutraBio, Nutrex, PJ Braun, Seth Feroce, Steel Supplements, Steve Calabrese, Tim Gritzman, VMI Sports.